Do you want to play the guitar really well and really fast? You can do this by having an effective guitar practice routine. If you find that your guitar playing has plateaued or you are new to the guitar, setting up an efficient practice schedule will make learning easier and send your skills through the roof. This, of course, depends on the guitarist. I find it easiest to set aside small chunks of time throughout the week. This is usually 20 minutes, 6 days a week. You may be thinking - I have to practice how much? Once you get in the habit of sitting down to practice, you'll get into a routine. Plus, 20 minutes a day is easy. You probably watch more than 20 minutes of television commercials a day. If you can do more than 20 minutes a day, or want to increase the time go for it! ​What's the perfect guitar practice routine? A good practice routine will require not only your hands, but your mind. You want to challenge yourself without getting overwhelmed. ​Structure in your routine and spending a set amount of time in each area, will increase your skill level. Before you begin, it's important to determine what your short and long term goals are. Your short term goals should be consistent with your long term goals. By making sure both are in line, you won't be distracting yourself from what you want to achieve as a musician. No matter how advanced you are, a warm up will allow you to have a good practice session. An effective warm up should consist of scales, transitioning your chords, enhancing your dexterity, and synchronizing your right and left hand. You know those times when you can't quite transition between your chords quick enough? Your muscles are just a fraction of a second too slow, or you feel like you've had a brain fart? Practicing basic chords and transitioning between them will make your playing more fluid and on time. Also, make sure to include dexterity exercises. It allows you to activate your muscle memory. This will get the blood flowing in your hands and loosen up your fingers. By incorporating Guitar Finger ﻿Exercises into your warm up you are building strength and coordination that will allow you to play faster and longer. Sychronizing your strumming hand and your fretting hand will increase your coordination. You can do this by practicing with a metronome and working your chromatic scales. Watch Free Guitar Video's clip to learn how to do the chromatic scale. In the second part of your practice, you should focus on some of the basics. Your routine should include making sure you have the appropriate posture and technique.​ There is a saying that says every hour you spend learning something wrong, it takes another hour to undo it and learn it properly. We want to be as effective and efficient as possible. Learning about music theory sounds boring, but it can really limit your abilities if you don't have a good understanding. By comprehending music theory, it allows you to be more creative and explore the boundaries of it. Learning new techniques on your Gibson Les Paul will allow you to be a better guitarist. Plus, they make it look like you are a very advanced player, even if secretly, you're just a beginner. You should incorporate the below list in your everyday practice. Karl Golden has a good video that covers guitar techniques, even some that didn't make the above list! Being able to play "Itsy Bitsy Spider," won't have much of a "wow" factor when you play for your friends. You should set aside time to learning new songs. This means the song in it's entirety, not just a couple riffs. Putting the work into learning song repertoire will also help you apply all the music theory fundamentals you've been spending so much time on. 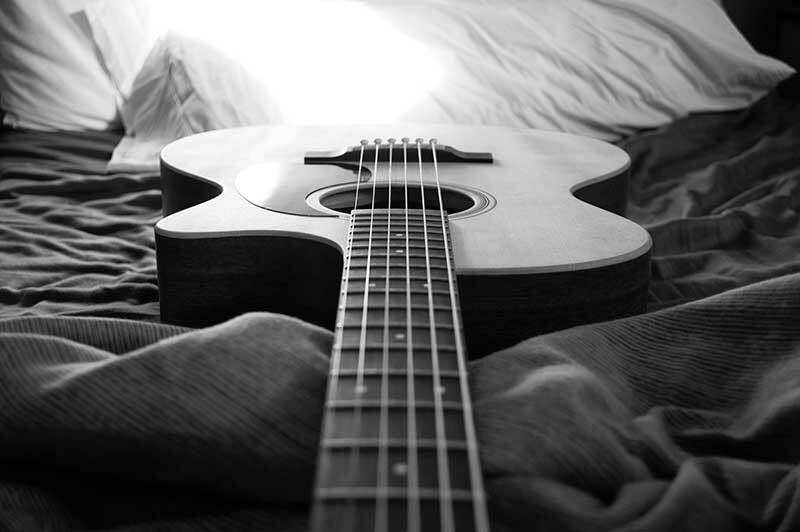 Check out our article on Easy Guitar Songs to get your brain thinking! This is the fun part! You want to make sure that practicing is fun, otherwise you'll easily lose motivation to continue your pursuit of the guitar.​ Yes, learning how to play the guitar is hard work! That's even more of a reason why you should enjoy it. Try backing music, or finding a friend to do a jam sesh with. A good place to start is by performing in front of your family or friends. You can also do casual performances at coffee shops. Get creative with it! If you need a little motivation to get going, watch this video with the Top 10 Guitar Solos from Watch Mojo. This is a nice blog to learn to play guitar with an amazing video.